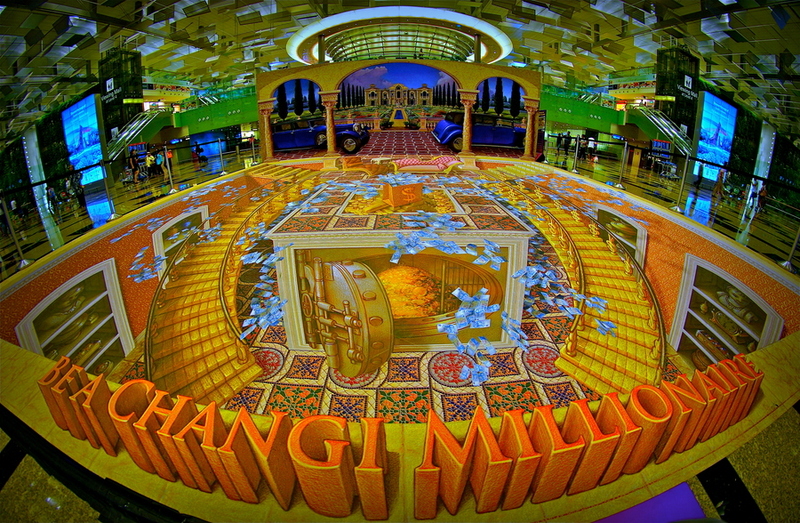 You might forgive fellow travelers at Singapore's Changi International Airport for doing something this summer that rushing passengers usually shouldn't do -- stop and stare at the floor. 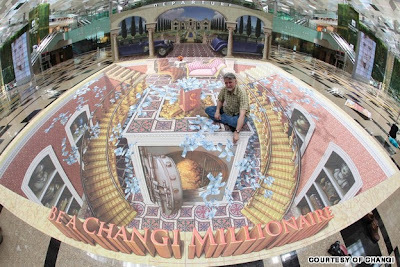 In fact, you might be tempted to do the same when coming upon U.S. 3D art maestro Kurt Wenner's latest work, "The Millioniare Life." 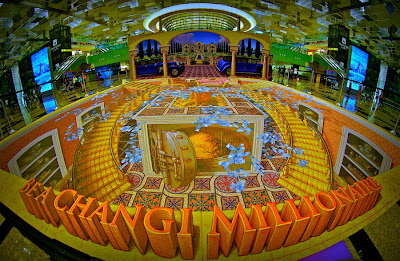 Part of the airport's "Be A Changi Millionaire" promotion, the stunning piece of optical illusion is currently spread on a digitally scanned canvas across the marble floor of the Terminal 3 Departure Hall.